After a bit of a messy night, everyone stumbled out of their rooms all in bits and pieces. Megan and I were relatively put together, but many of our crew had been out partying with the locals until 6:00am. Warren was locked up in his room in a nearly catatonic state, but we got him out. Jorge, our host and guide, had his bag stolen on the street without anyone noticing, but cool as a clam he got us on our way to the bus station. The rest of us were in varying levels of hungover and tired as we piled onto the bus for a five hour ride south to the town of Linares. I sat beside Juan, a friend of Jorge and Katherine (our hosts) and one of the RMTs that was here for the course. 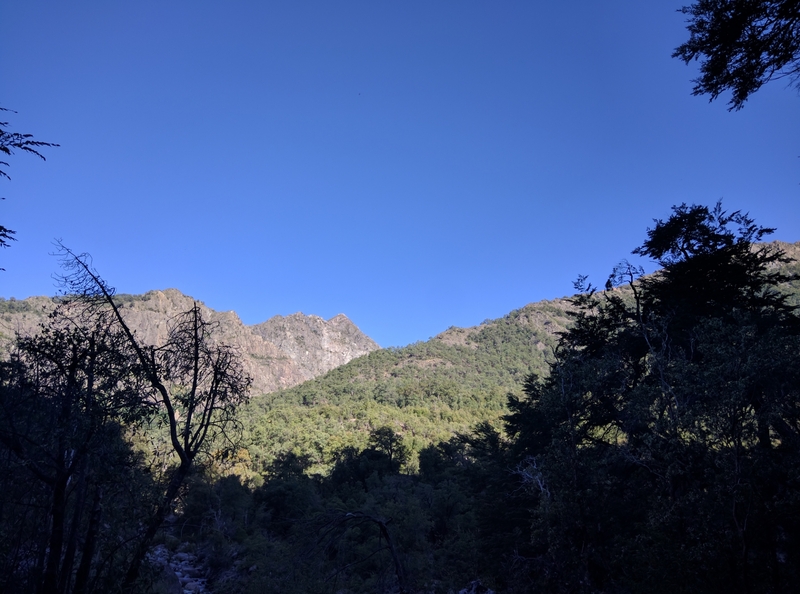 Juan told me about his life growing up in both America and Chile, and about the crops growing in the hills as we spotted them from our window in never-ending rows. Juan was born in Chile, and grew up in Washington D.C. He eventually returned to Chile and for a time was a mountain guide in Patagonia. After years in the mountains he travelled north to San Francisco, where he lived in a shared residence with other expats and unique individuals while training at a prestigious massage school he had stumbled into through luck and accident. 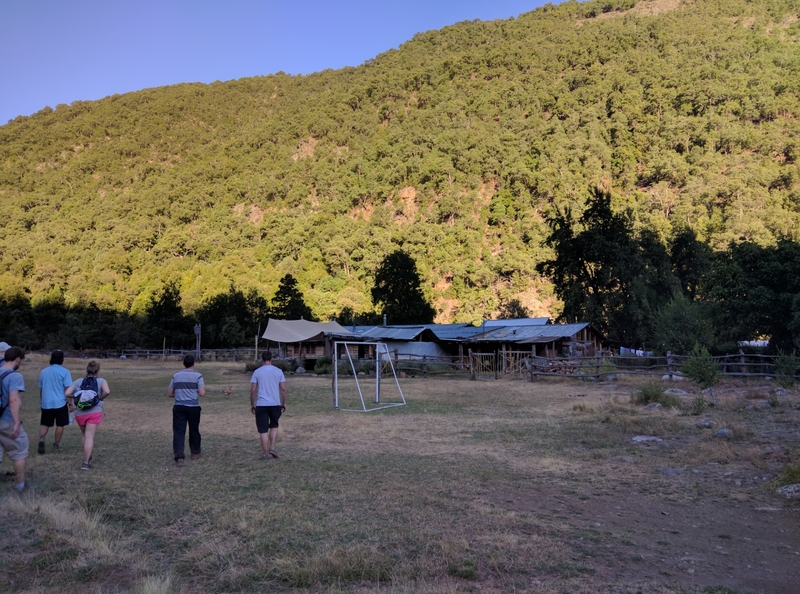 Through the economic crisis in 2008 he continued his education, and once complete made his back to Chile and took up residence in Santiago where he now lives. 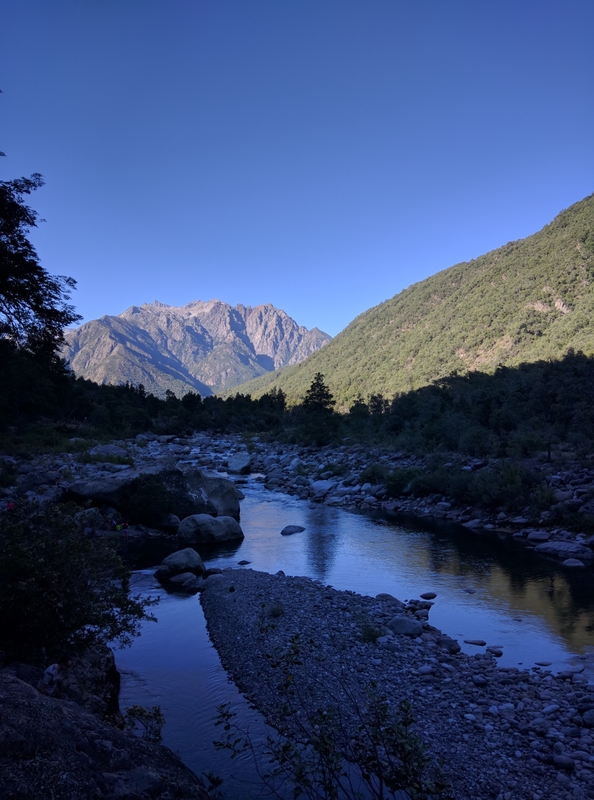 In the fertile valley nestled between the Andes and coastal mountains, Chileans harvest berries and melons, corn, plums, nectarines, apples and all manner of vegetables and fruits. Hazelnuts are also a popular crop. Juan pointed out the different fields as we passed theme educating me on the area and history of the people. 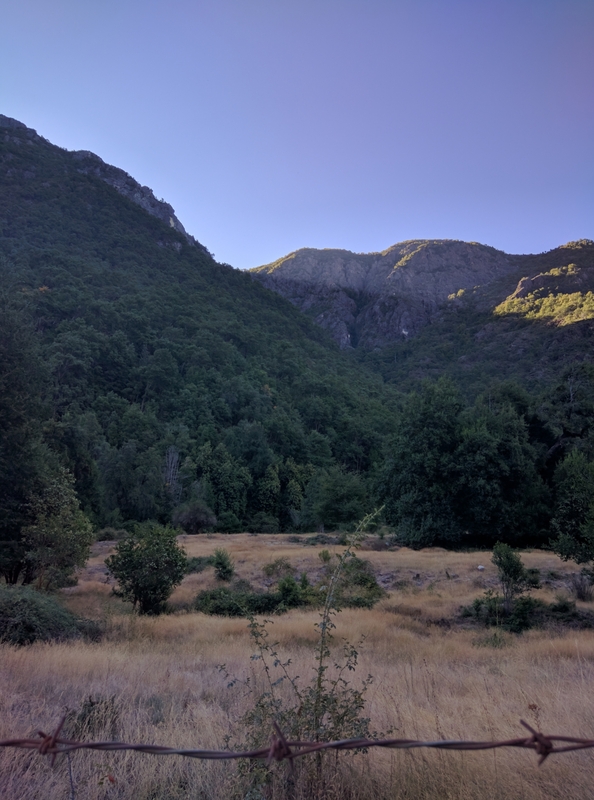 After a brief stop over in Linares to pick up snacks and booze, we began our drive into the valley spying campers along the river Achi Bueno. 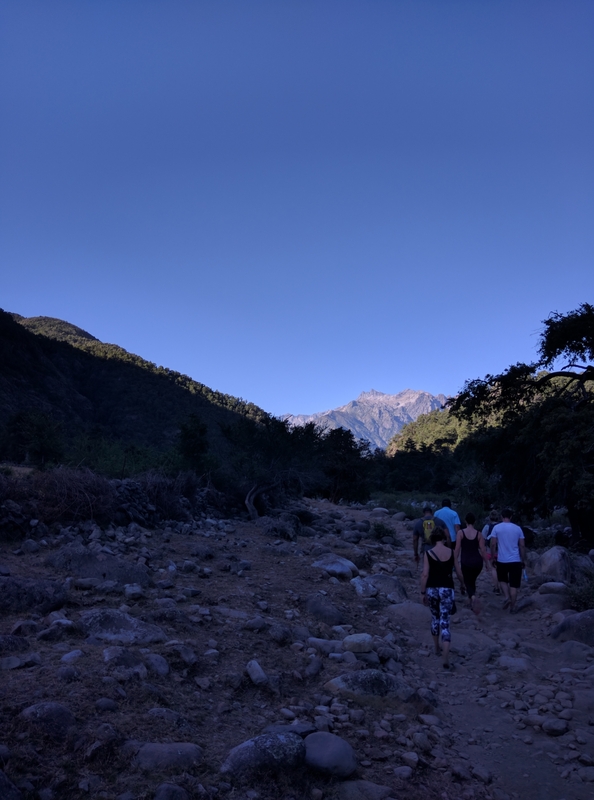 The clear, crystal waters of which snake into the Andes mountains and guide us on the way to Las Mulas. 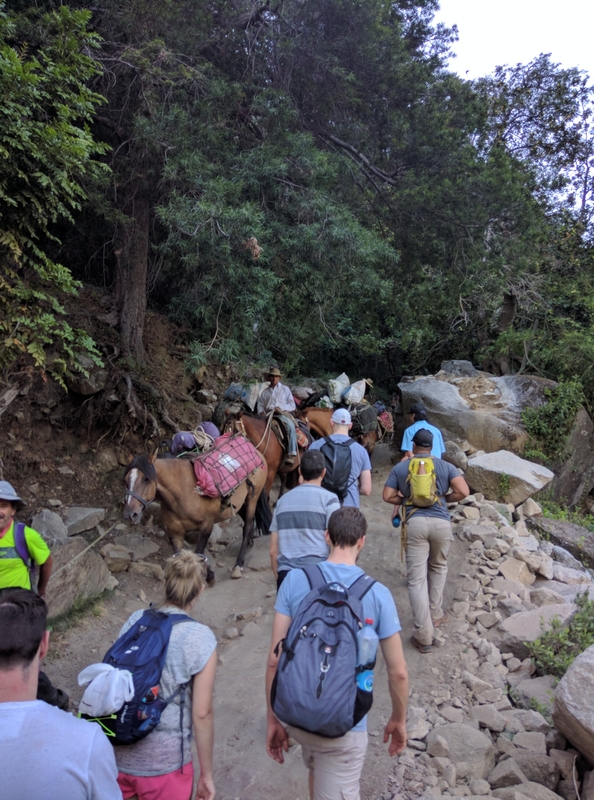 The ride up was bumpy and dusty, but we saw a great deal of countryside that reminded us of home in British Columbia with tree-dense mountains covered in pines and leafy greens. 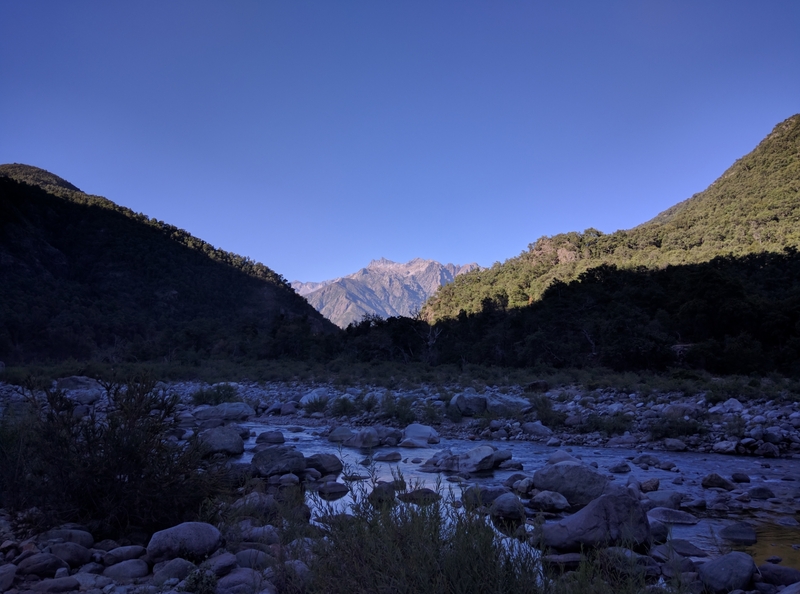 Jorge told us of the wildlife we were likely, if at all, to encounter and explained that we would disembark approximately two kilometers from the camp and would hike in to complete the journey. 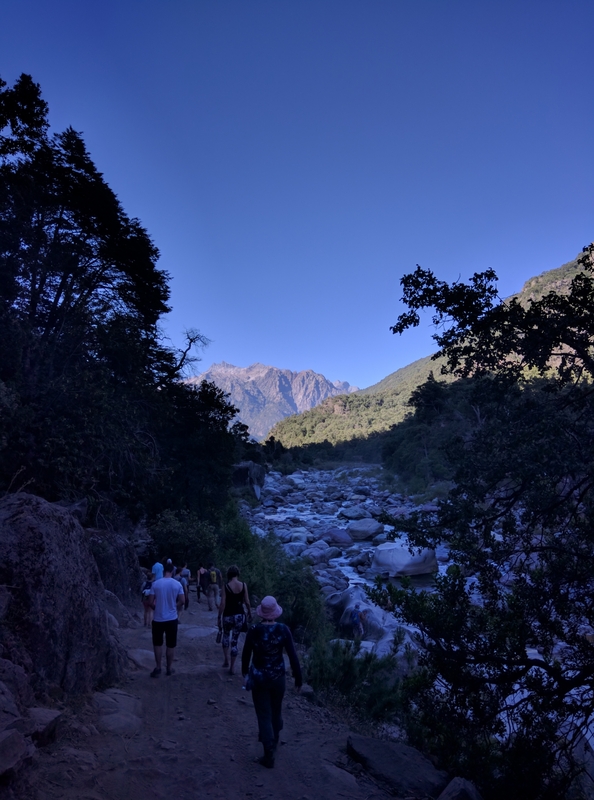 The walk was beautiful, offering views of the glistening river littered with old, smoothed rocks and immense, forested peaks devoid of snowcaps. Eventually, tired, we completed our days travel and arrived to a feast cooked up by the lovely staff of Las Mulas. The ranch is an unbelievable paradise where horses and chickens roam free under the watchful eye of shepherding dogs and mouser cats. 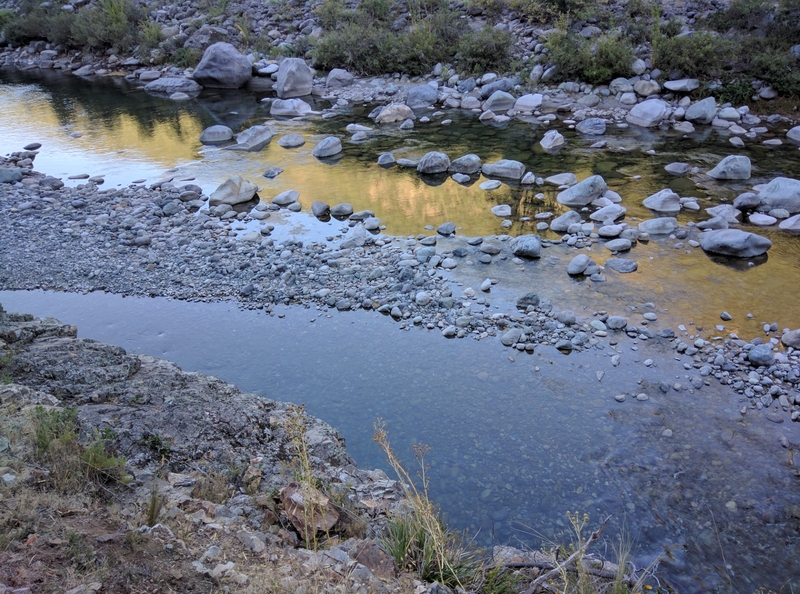 We took a dip in the frigid river to wash and cool ourselves and settled in for bed, exhausted from the night prior and day of travel. Tomorrow, Megan and the rest begin their course while the rest of us strike out for adventure with Jorge.